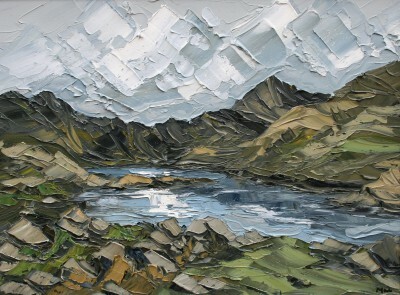 Martin Llewellyn was born in Neath in 1963. 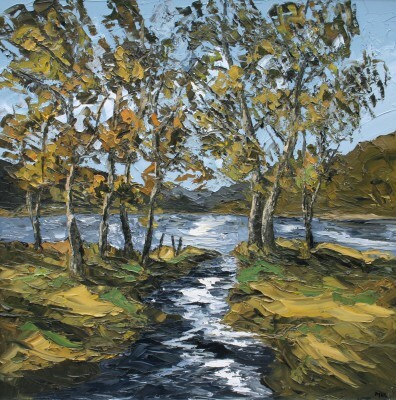 He is a self taught painter who has been painting for over 15 years. 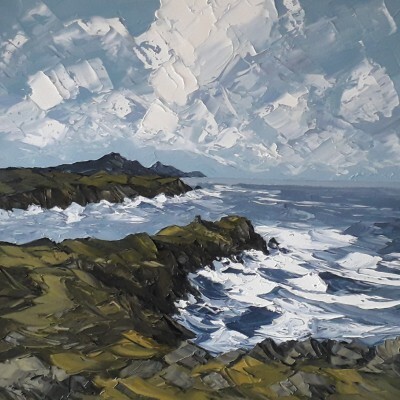 Originally working using watercolours, Llewellyn has developed into an accomplished painter of oils with his trade mark use of palette knife and limited palette of colours. 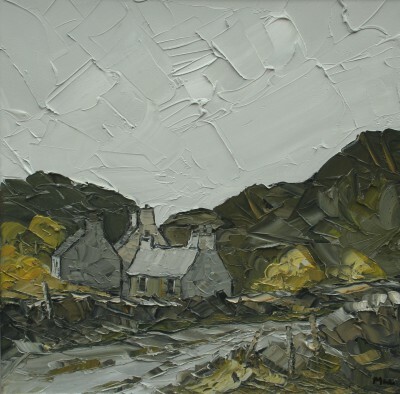 Martin Llewellyn lives in South Wales and is constantly inspired by the Welsh landscape. 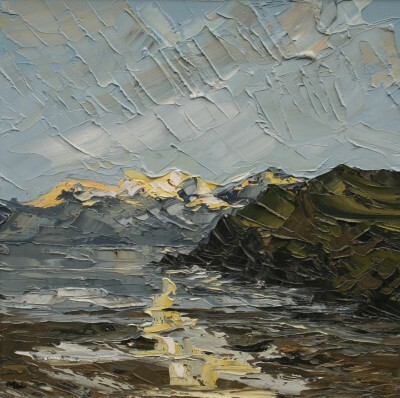 He draws his principle inspiration from the rugged mountain range of Snowdonia and the dramatic coastline around Anglesey and North Wales. 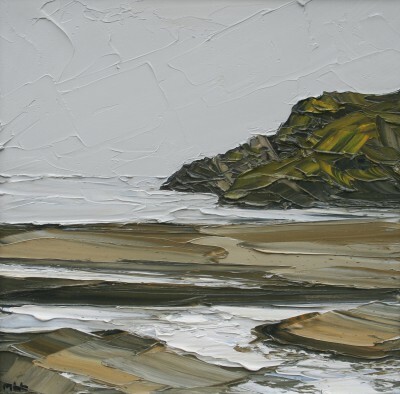 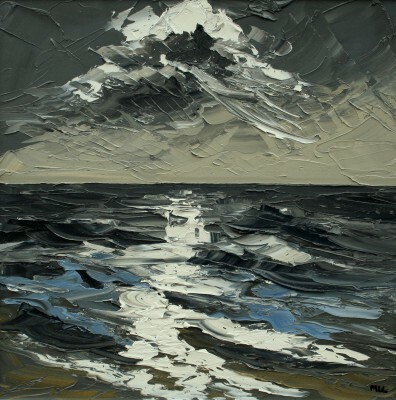 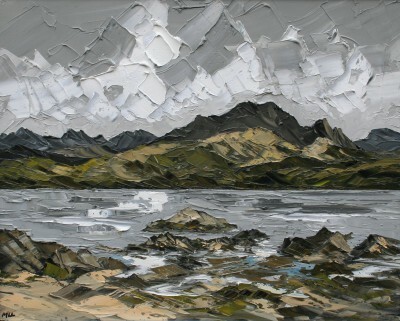 Like most Welsh painters of his generation the influence of Kyffin Williams is ever present in his art work but his palette knife technique is finer and generally worked on a much smaller scale. 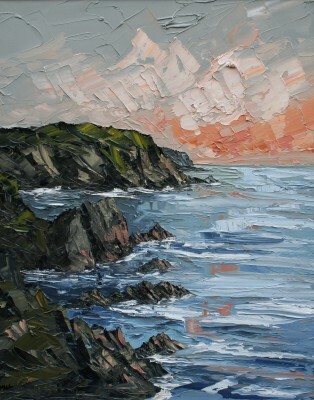 Other artists who have influenced Llewellyn include Charles Wyatt Warren and Gwilym Prichard. 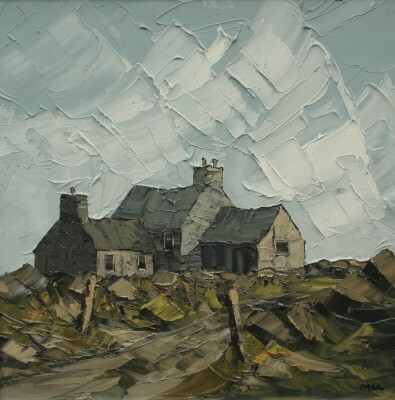 Martin produces richly textured paintings using a subtle, muted palette that beautifully captures the distinctive atmosphere of North Wales. 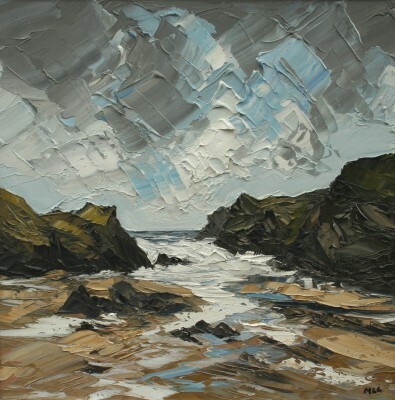 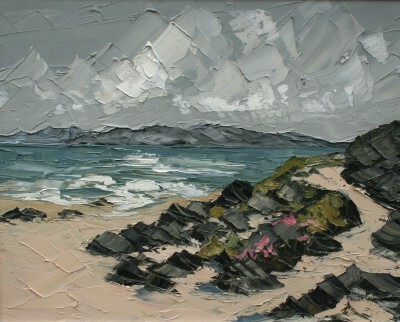 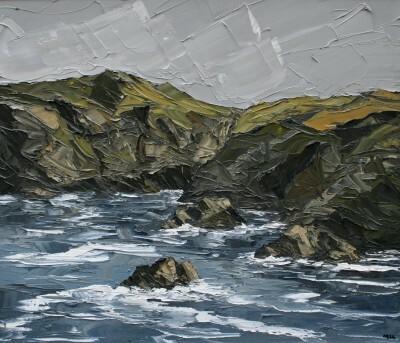 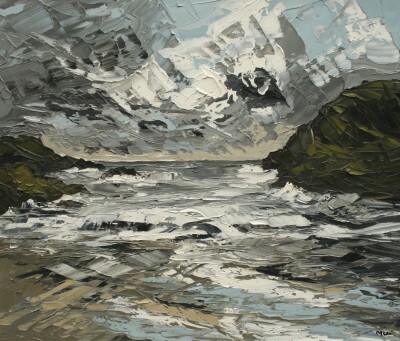 He is equally skilled in depicting the drama of Snowdonia or the Irish Sea breaking against the shores of Anglesey. 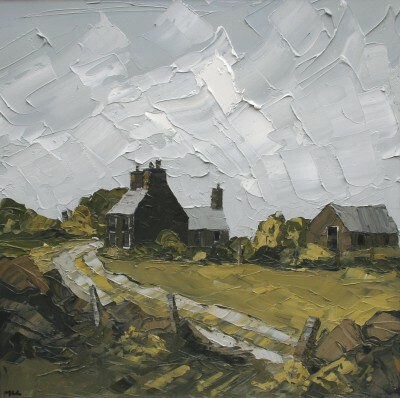 In addition to Red Rag Gallery Martin Llewellyn art work has been exhibited at other British Art Galleries. 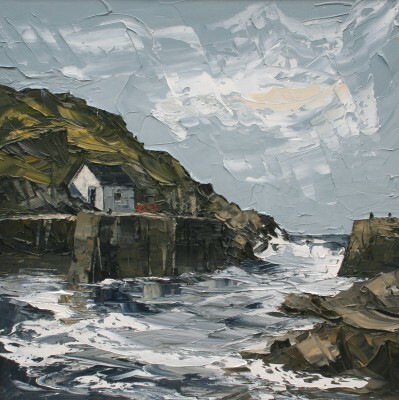 Each painting at Red Rag is sourced from the Martin Llewellyn artist studio and like all Red Rag British art and Contemporary art it can be shipped worldwide. 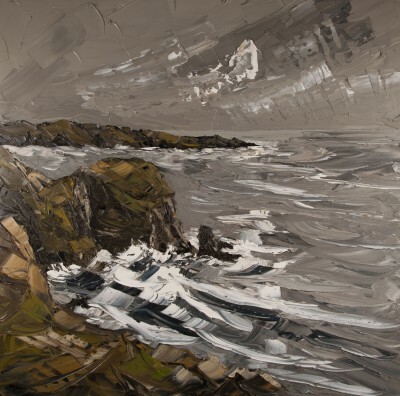 or CALL RED RAG NOW on 01451 832563 or outside the UK +44 1451 832563.